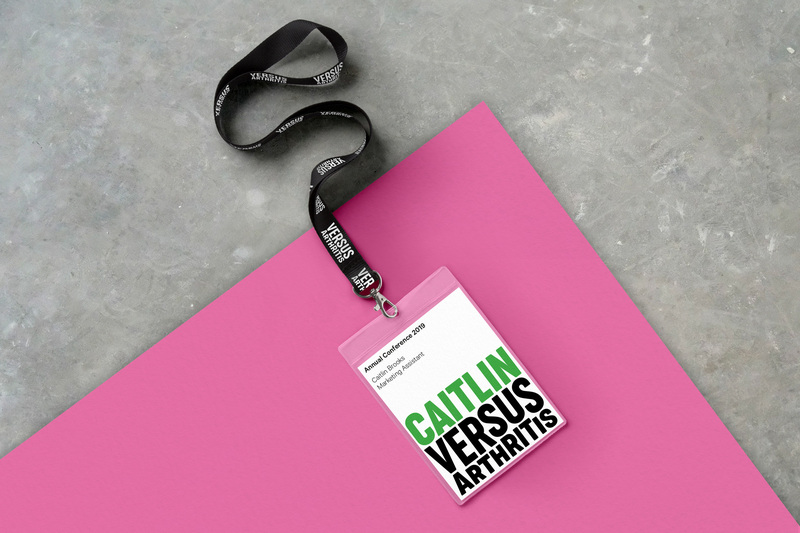 Established in 2018, Versus Arthritis is the result of the merger between the charities Arthritis Research UK (est. 1936) and Arthritis Care (est. 1947), creating the leading arthritis charity in the UK. Affecting one in six people and mostly incurable, Versus Arthritis’ goals are to increase awareness of arthritis’ impact on people; provide best-quality services, information, advice, and support for people living with it; and deliver cutting-edge research. The charity launched its new name this past September and introduced its new identity designed by the London, UK, office of Re. Re developed a new name, Versus Arthritis, which encapsulates the collective battle against the condition. It also needed to be a brand with range, with the ability to speak to everyone from politicians to young people living with arthritis. 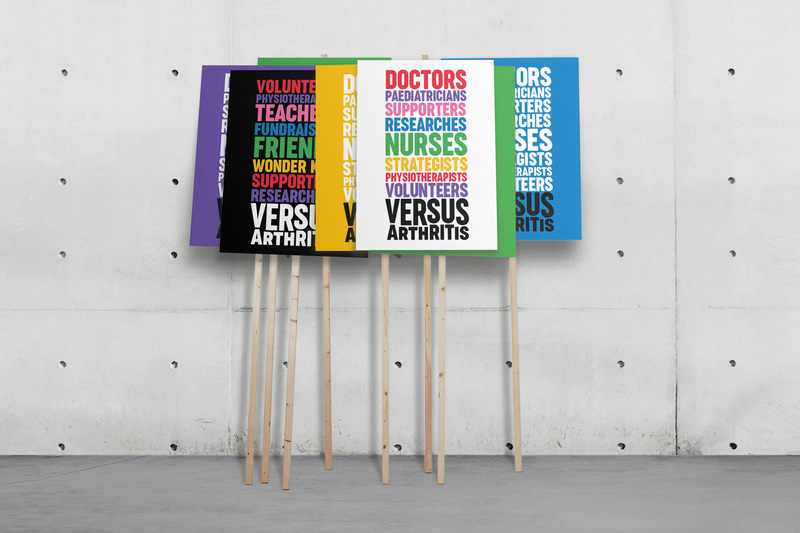 The name Versus Arthritis captures the pressures, but also the power, of the people working together against arthritis. Those who constantly fight back against the condition: the carers and campaigners, researchers and runners, listeners and supporters. 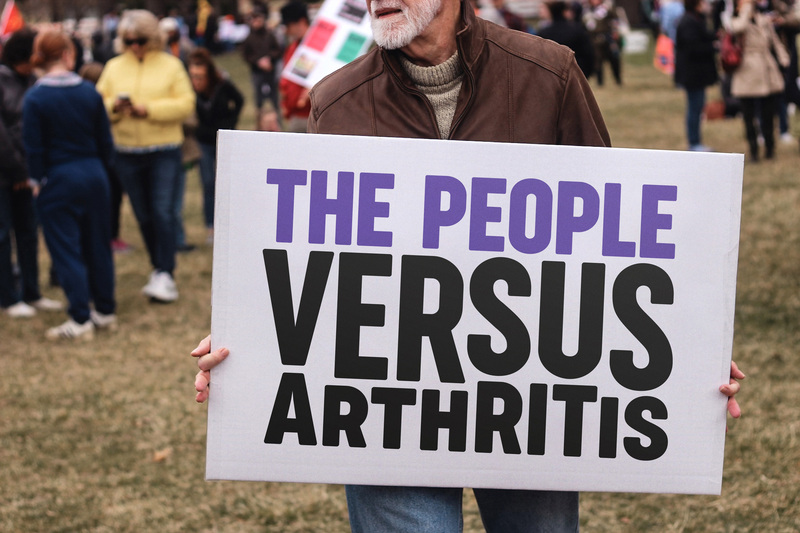 The people Versus Arthritis. 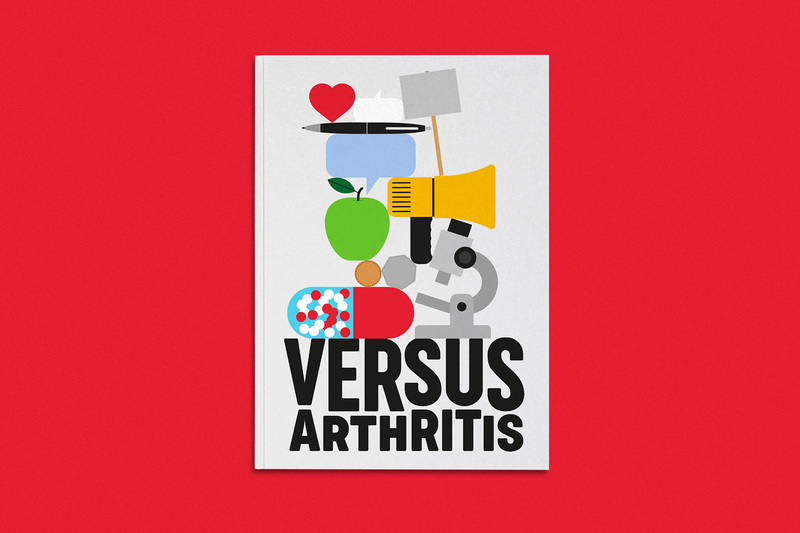 Introduction to Versus Arthritis. Part of the launch campaign by M&C Saatchi London. The new logo is a visual metaphor for the collective battle with arthritis. The individual characters reflect the diversity of pressures caused by the condition and, used together, reflect the power behind the movement for change. As the logo is built around the idea of applying pressure, motion and behaviour play a big role in bringing it to life — forming the basis of the logo, communications and digital expressions. It is a brand that constantly pushes forward: a force to be reckoned with. The old logos were bearable and relatively decent, although the scribbly family huddle was questionable. Mostly, they didn’t stand out in any particular way. Starting with the name, which has a call-to-arms ring to it, the new logo is more engaging and memorable. 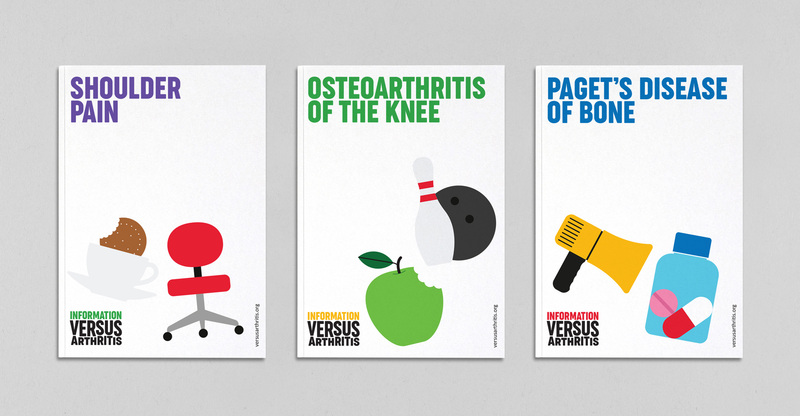 I like how the logo is able to convey a couple of meanings: one, being the negative, of how arthritis can make people feel like they are being crippled by it through the deformed letters; and two, being the positive, of how the charity is looking to literally crush arthritis and how it’s the “versus” part of the equation that is bigger than the ailment. Visually, it’s a good logo… the spacing between the two words could be a little taller but that’s a small complaint. It works nicely in animation but I wonder if the animation needed to be more drastic and jerky to really accentuate a fight. The animation below has the right message but the cheerful colors might be too… cheerful. 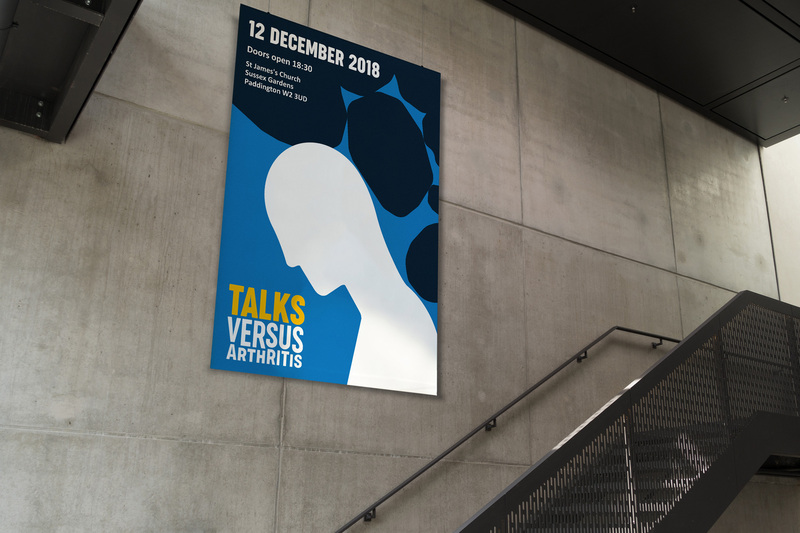 Big and bold in character, ‘Versus Arthritis Display’ speaks out confidently, perfectly representing the strength and backing of Versus Arthritis. In partnership with Zeta Fonts, the bespoke typeface is one of the most powerful elements of the brand, free to be used across the whole charity without ongoing licencing costs. Font is good. Can’t get mad in any way at a chunky, slightly condensed font that has been well done. 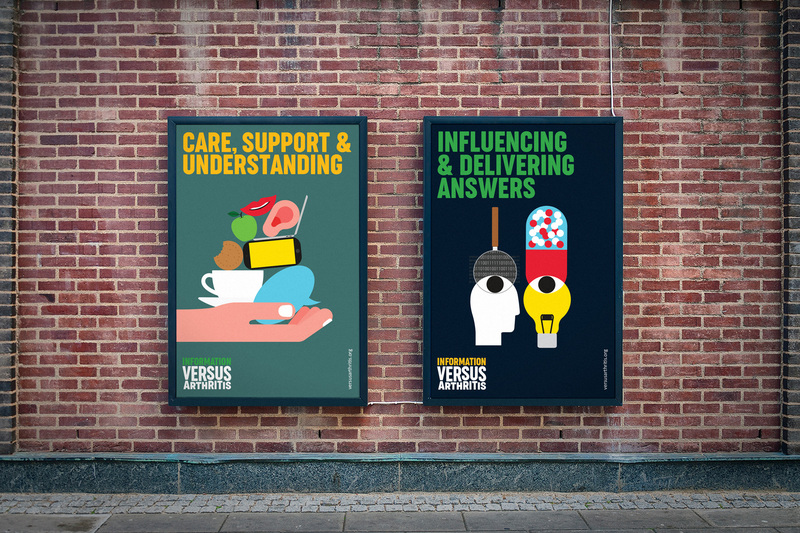 We conceived Versus Arthritis as a brand with reach — appealing to a broad range of people across a wide range of communications. 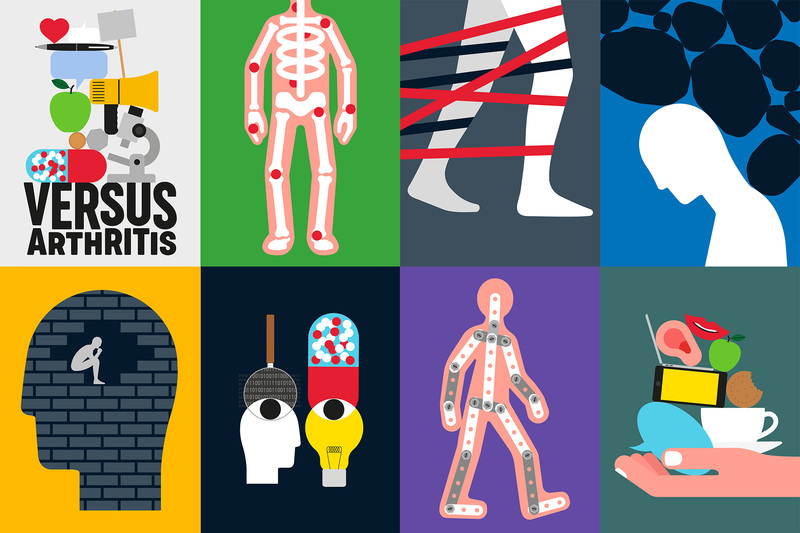 With this in mind, we commissioned two photographers and an illustrator to create a suite of expressive and impactful depictions of living with arthritis, capturing the physical as well as psychological impact of the condition. 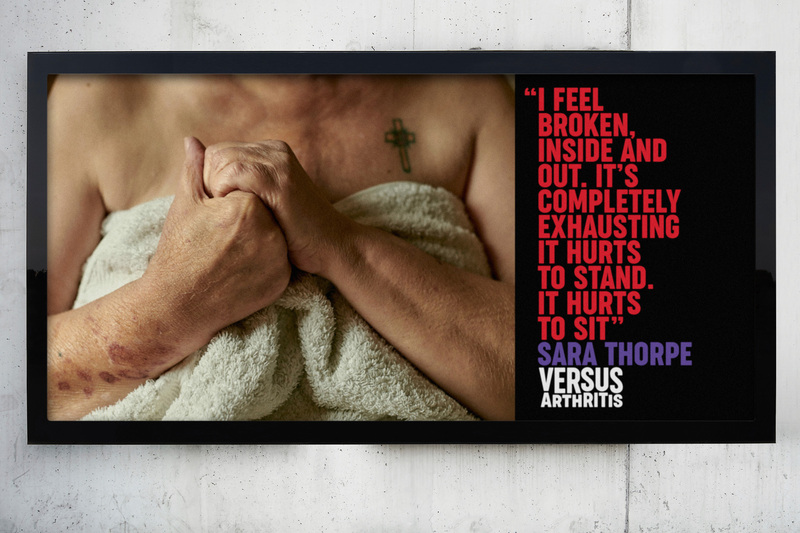 Working with Sophie Harris-Taylor, our intimate portraits capture an unflinchingly authentic picture of what it’s like to live with arthritis by featuring real people with the condition. Portraiture, shot by Christian Sinibaldi, helps to paint a picture of everyday life across the broad cross-section of people with arthritis, coming from every age and walk of life. 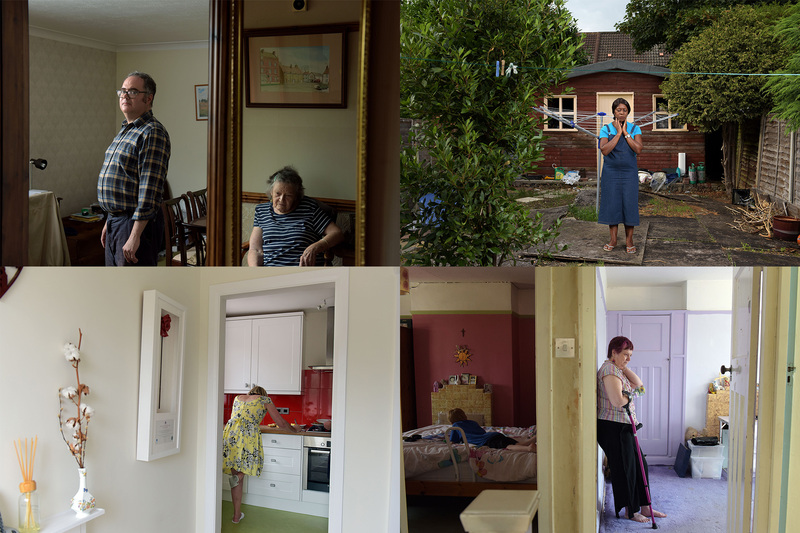 Photography of living with arthritis by Sophie Harris-Taylor. Photography of everyday life for people with arthritis by Christian Sinibaldi. Re collaborated with illustrator James Joyce to help bring to life a condition which can be tricky to visualise. 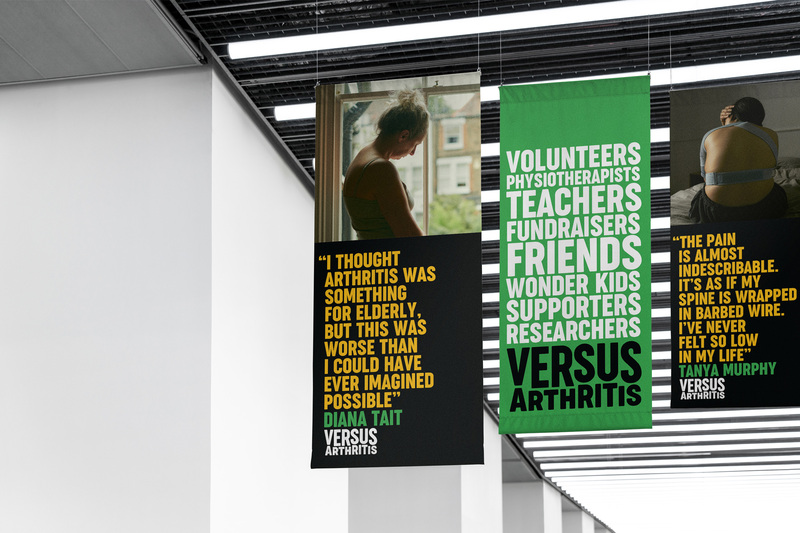 Bold and bright, they’re a visual depiction of the pain, isolation and fatigue arthritis can cause, as well as the care, support and hope for the future Versus Arthritis provides. I understand that part of the goal of the new brand is to be able to communicate to multiple audiences but, with the photography and illustrations, is where I start having a hard time with how this is developed. The photography is very serious, very real, and it makes arthritis look as scary as it must be. The illustrations, however, are very cheery, very simple, and look more like school aid illustrations that take the messaging in completely different ways. Both photography and illustration are solid but in combination in the overall brand it can get confusing. The examples above and the ones below better illustrate my concern. The ones above are uplifting and educational and convey a more positive mood. The ones below are like stepping into a David Fincher movie. Both approaches are valuable and good on their own but coming from the same charity can be a little jarring. Execution-wise, the stacked typography works great when it’s ragged and builds a condensed typographic column that sits on top of the logo. The full justified columns start to look like word clouds. The color palette in the applications may also be too broad; I feel like this could have benefitted from a more limited set of colors to help establish a more definable identity for the new charity. Overall, this is a very positive change and its biggest asset is the verbal branding opportunities through the name while the single font is a great way to deliver them but I feel like the charity needs to hone in on what their actual personality is as right now there is three or four different ones coming through. Established in 2018, Versus Arthritis is the result of the merger between the charities Arthritis Research UK (est. 1936) and Arthritis Care (est. 1947), creating the leading arthritis charity in the UK. Affecting one in six people and mostly incurable, Versus Arthritis' goals are to increase awareness of arthritis' impact on people; provide best-quality services, information, advice, and support for people living with it; and deliver cutting-edge research. The charity launched its new name this past September and introduced its new identity designed by the London, UK, office of Re.